African Americans recognized that New Deal programs offered the best opportunity since Reconstruction to improve the incomes, skills, education and housing conditions for the black community. However, as organizations like the National Urban League and the NAACP noted, racist administrators on the local level or indifferent managers at the federal level would prevent funds, jobs and opportunities from getting to those African Americans who needed them. In the 1930s, black groups put constant pressure on the Roosevelt Administration to enforce fair distribution of aid. They gradually improved the proportion and overall numbers of African Americans enrolled in jobs and educational projects, as well as the number of black administrators hired to run such programs. Picketers in front of the WPA Walker-Johnson Building, 1734 New York Avenue. 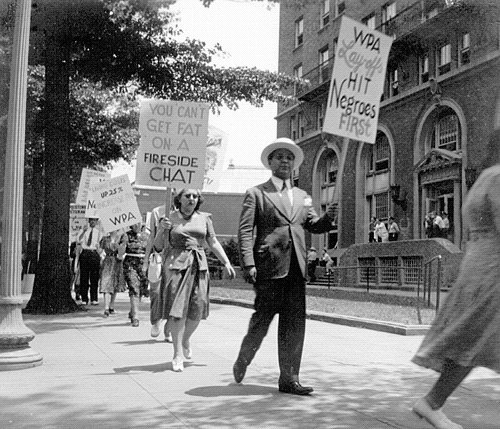 Source | "Picketers in front of WPA Building," June 1941, National Archives, available from the New Deal Network, http://newdeal.feri.org/library/photo_details.cfm?PhotoID=4223&ProjCatID=10030&CatID=2&subCatID=1004. 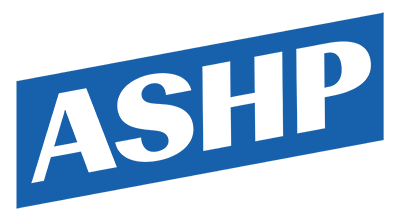 Cite This document | Unknown, “Picketers Demand More from the New Deal,” HERB: Resources for Teachers, accessed April 22, 2019, https://herb.ashp.cuny.edu/items/show/1505.